11:00 to 12:30 David Brydges Reflection Positivity which plays an important role in QFT and statistical mechanics. 15:00 to 16:30 Margherita Disertori Why fermions? 13:30 to 14:30 Margherita Disertori Supersymmetry and Ward identities: an alternative approach to renormalization. 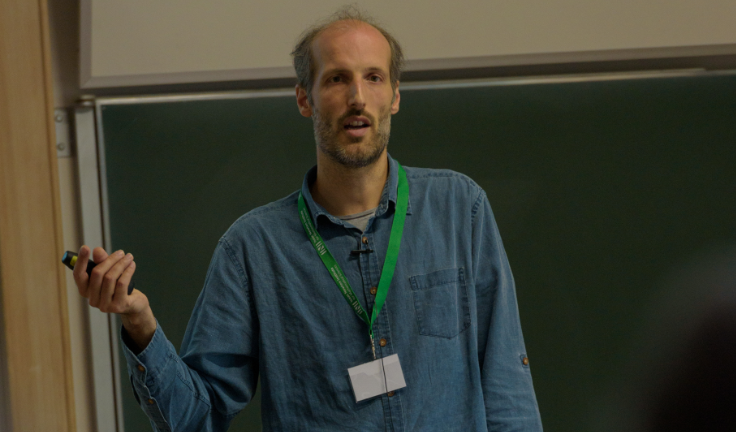 15:00 to 16:00 Benjamin Gess Generation of random dynamical systems for SPDE with nonlinear noise. 11:00 to 12:30 Tyler Helmuth Isomorphism theorems, random walks, and spin systems.